It's clear that the creative team behind "21 Jump Street" wasn't just content to slap something up on screen and call it a day. It's actually a surprisingly strong film with a solid balance of humor and heart, actually making us feel for and identify with the characters rather than just go through the usual paces of an R-rated comedy. 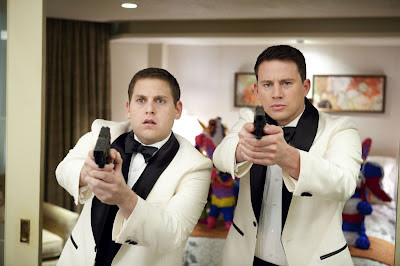 While it doesn't always work and there are a few missteps along the way, "21 Jump Street" is something of an unexpected pleasure, a character-driven comedy that actually seems concerned with giving the audience some fresh and original laughs rather than simply recycling old material.